Best Game on the Market! All I have to say is WOW! 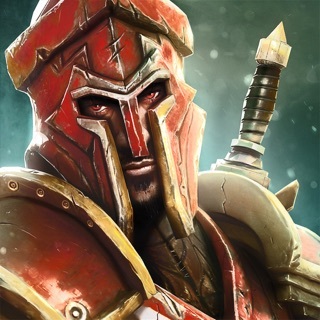 Great job on the game Gameloft! I do however have some suggestions. First, I will start off by saying that we need to be able to have 10 class setup slots. This will add an even greater strategy element into the game. Next, I feel that the cost of ALL guns should be increased drastically. I love how we can keep the weapons even when we prestige though! Also, there needs to be an option to remove friends from your friends list. People kept spamming me to ask to add them to my friend list. I finally accepted, thinking I could delete them right after and they wouldn't notice. But there is no option to remove friends! Also, I feel that the game is needing more maps. Some map packs would do the trick! This is a win-win, because you could charge money for the packs, while we get blessed with new awesome maps! We should also get some weapon packs. Not too many, but just enough to keep the game appealing. Don't go overboard though, Gameloft! We may want more guns, but we don't want them OP! The game modes Destruction and Bomb Squad also need to be added to ranked matches. Lastly, I would like to close off with saying that this game has incredible graphics. 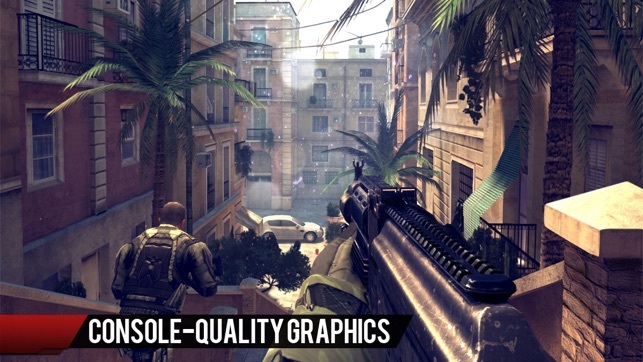 Much better even than COD Ghosts on the Xbox One! If you are looking to buy this game, make the right choice and GET IT! You will not regret it! So I used to love this game when it came out.. like I started playing modern combat since the 2nd one.. and I’ve bought all of them every since on the days that they came out.. 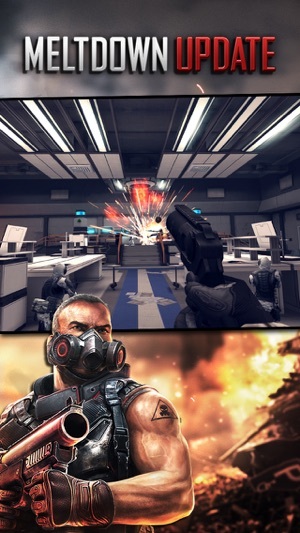 I absolutely love modern combat... this series is hands down the best first person shooter on ios.. all of them got better and better.... the gameplay and graphics literally get twice as good every single one that comes out.. like the 4th one came out and I thought ok this is it.. no way the graphics can get better... and then the 5th one came out and I was blown away... so I’ve been playing the 5th one and the 6th one(verses)... and I was like hey imma check out the 4th one again because I got a new phone and I didn’t have it on here.. but I guess it says the developers need to update the game and optimize it for iOS 11... so pleassseee.. please update this game so we can play it again... because this one was one of the greatest ones out there...I would say the gameplay might even be better then the ones after... but yea... please reopen this game so we can keep enjoying it :) good job developers... y’all make great games! Outstanding experience! Especially when played with quality headphones ^^. 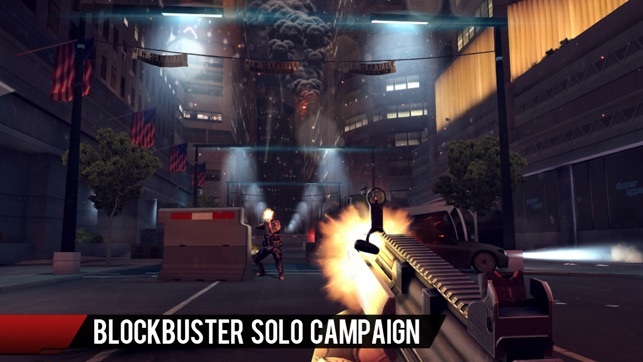 My first experiences with these mobile versions of the modern combat series was a bumpy ride of confusion. 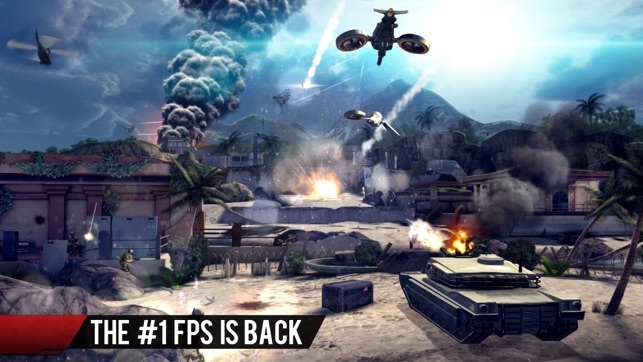 Not because of the game itself, but due to then inferior hardware of the iPhone 4 (attempting to play Modern Combat 3 which was most current at the time). 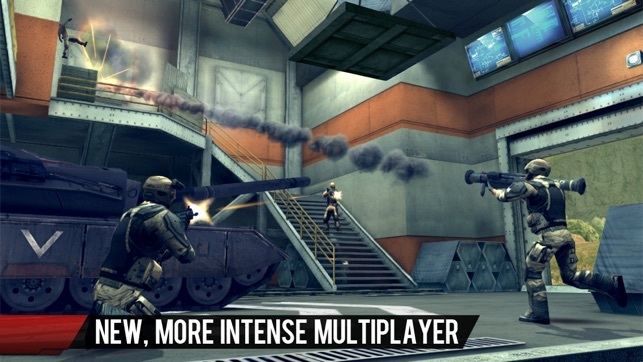 However, I saw, felt, heard and held great potential for future development of the engine that drives Modern Combat 4 (Running immaculately on the iPhone 6). Intense atmosphere, excellent controls (once adopted/practiced/mastered), dynamic, believable story/scenarios, fully immersive sound with headphones equipped (I jumped at a few corners! ), fun and heart-racing choices of music, and an overall sense confidence all throughout each action-packed sequence to the next. 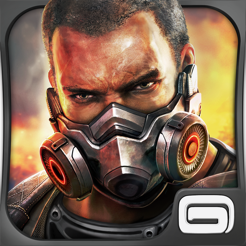 I am for once "thirsty" for more Modern Combat mobile experiences and have my eyes on the 5th installment that was recently released. Very pleased, and many praises to a creative and inspiring team of human beings. Keep on thrilling!